Camagüey - Ciego de Ávila: Architecture and Landscape Guide. This Guide has been published by the Andalusian Government, under the editorial care of our dear friend, Architect Heriberto Duverger. It reflects the rich architectural, urban and landscape heritage of this city, whose historic city center has been declared a World Heritage Site in 2008. 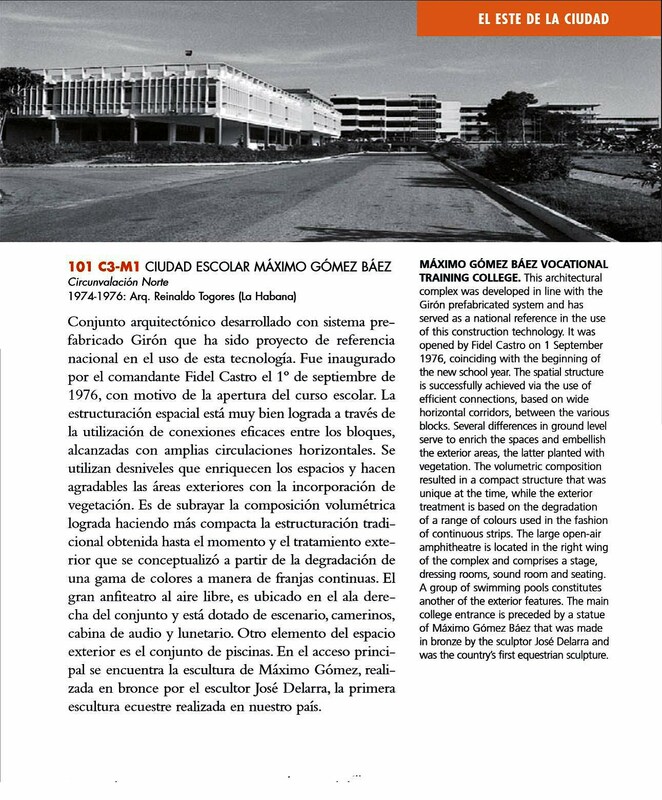 The Vocational School Maximo Gomez is one of the buildings included.